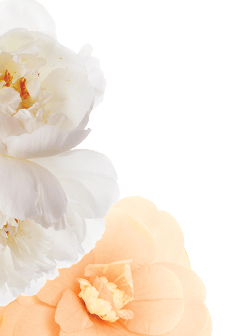 Are you on the hunt for products that leave your hair silky, smooth, and straight? Whether your tresses range from coily and curly to wavy and straight, Smooth ‘N Shine offers the best line of products to ensure that your hair stays thoroughly hydrated and polished! 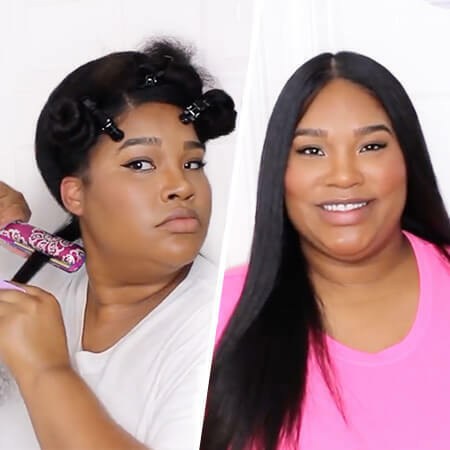 If you’re in the mood for flat ironing your natural hair, try the Straightening Polisheron damp or dry locks prior to applying heat for a sleeker style; making sure to part your hair in sections and evenly distributing the product throughout your strands to ensure equal coating. 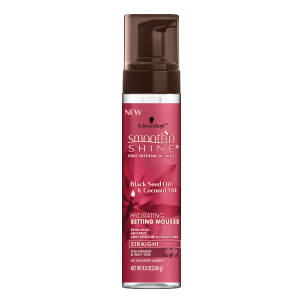 Essentially acting as a heat protectant, the natural ingredients in this product include Black Seed Oil and Coconut Oil which helps guard against breakage, frizz and humidity. 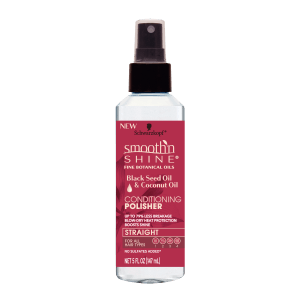 The Straightening Polisher also boasts an increase in natural shine and moisture and promotes hair growth and strength, which is ideal for curlier hair. For those with straighter texture, try spraying the Hydrating Setting Mousse on your damp hair and rake it smooth with a brush for a glossy sheen. This helps provide the hold necessary to keep your straight style in place all day while offering a voluminous look. For frizzy hair, try the Conditioning or Repairing Polisher which both help reduce static and tame flyaway strands. Perfect for fighting against split ends and adding extra shine and volume, these products can be styled with heat on both loose waves and curlier hair. 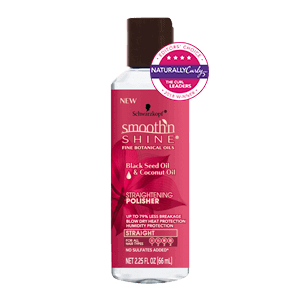 Smooth ‘N Shine’s line of straightening products help you create more sleek styles whether you prefer to use heat or not. 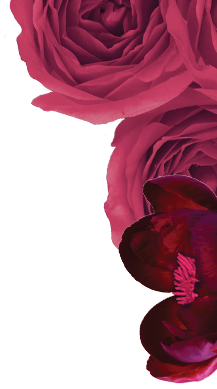 The inclusion of natural and fine botanical oils keep your hair nicely moisturized and conditioned while stimulating hair growth, luster, shine and softness without appearing greasy. 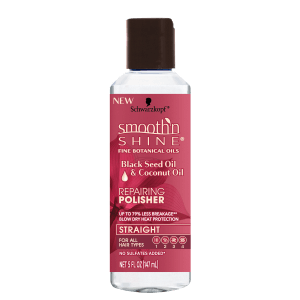 Keep your hair on point and treat your tresses with Smooth ‘N Shine’s trusted products!